Did You Know? You Can Easily Respond to Constantly Evolving Internet Attacks. With attacks on the rise and constantly changing, it’s more important than ever to respond fast. 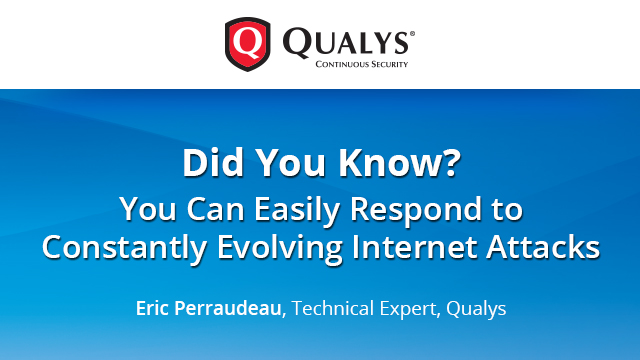 Find out how Qualys Vulnerability Management gives you a new approach to continuously secure your IT infrastructure with immediate, global visibility against evolving threats. Title: Did You Know? You Can Easily Respond to Constantly Evolving Internet Attacks.